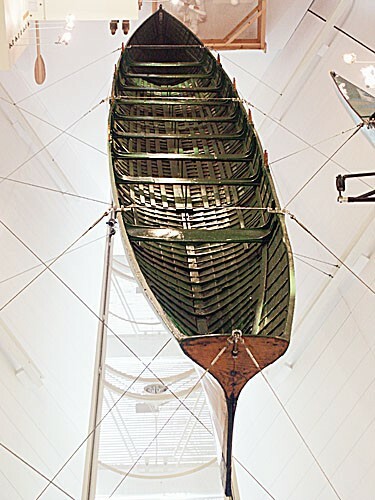 The OXFORD 1829 BOAT is a racing eight rowing boat, built in 1828 by Stephen Davies & Isaac King of Oxford. The hull is clinker built of spruce on oak and ash frames. The boat took part in the first University Boat Race between Oxford and Cambridge Universities, held in 1829 over a course in Henley-on-Thames. The Oxford crew borrowed it from Balliol College for the occasion. The vessel illustrates first steps in the evolution of boats designed for racing, being almost twice as long and half as wide as an equivalent sea-going boat of this era.